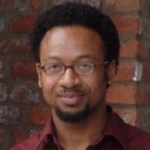 Luther Adams is an assistant professor at the University of Washington – Tacoma, in Tacoma, Washington. He earned a B.A. in History at the University of Louisville and a Ph.D. in History is from the University of Pennsylvania. He has written numerous articles on African American history including, “Headed to Louisville: Rethinking Rural to Urban Migration in the South, 1930 – 1950” in The Journal of Social History, Volume 40, Number 2, Winter, 2006. He specializes in African American urban history and Southern history. He is completing a study on African American migration in Louisville, Kentucky.